Home Energy Audits in Vermont are deeply discounted right now. Start saving on your energy bills and qualify for financial incentives today! Spray foam has fantastic insulating qualities, and financial incentives are available right now in Vermont to offset the cost. Get your spray foam estimate now! BPI Building Analyst and Envelope Professional tests and exam prep courses are now being offered at our office in Rutland, VT. Call us up to get BPI certified! Watch this video to learn more about an Energy Audit! 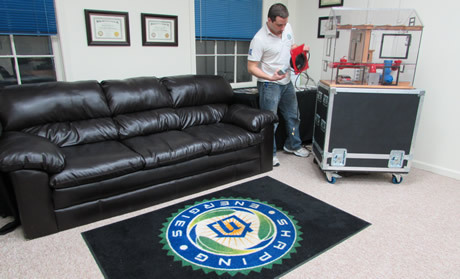 Or check out our page on Energy Audits to learn more and sign up. 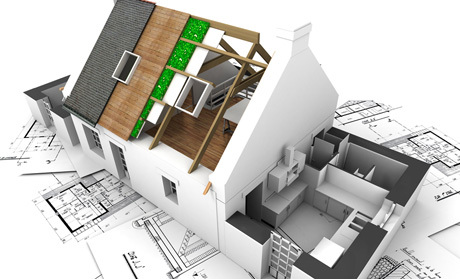 We offer comprehensive insulation contracting. Get the best and most cost effective solution to meet your needs! We provide BPI training and testing for Building Analyst and Envelope Professional certifications. Become certified at our excellent training center! We perform energy consulting with home/building owners and run building diagnostics to objectively determine which improvements should be made to lower building energy usage, maintain building durability, enhance occupant comfort and maintain health and safety. Learn more about our energy audits and sign up for a Home Energy Audit today. 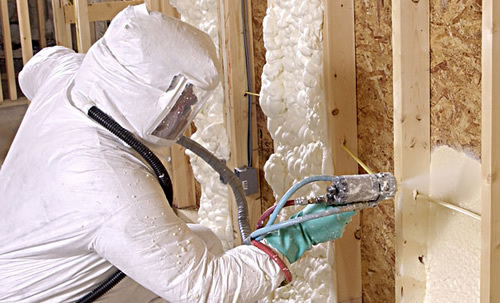 We provide building owners with a wide range of home improvement contracting services, but our primary services include insulation contracting with closed-cell spray foam, open-cell spray foam, dense pack cellulose, loose fill cellulose, and Thermax/rigid insulation installs. Other primary services include air sealing, ventilation installs, door and windows, photovoltaic solar installs, thermostats, and heating distribution system improvements. Of course, we always provide home owners with the opportunity to have our team install energy efficiency improvements that we have recommended in their home energy audit report. We train contractors and energy professionals on how to do home energy audits and whole-home evaluations using the standards set forth by the Building Performance Institute for the certifications of Building Analyst and Envelope Professional. Students who train with us have the opportunity to take BPI certificattion exams at our facility to complete their BPI certifications. The Shaping Energies team is excited to assist you with your goals! Shaping Energies LLC is here to offer you the best BPI training classes, the lowest prices on the highest quality spray foam insulation, and the most comprehensive home energy audits with the clearest reporting to meet your needs.